What is your immediate interpretation of today’s quote? Is being a boat rocker a bad thing or a good thing? How much does it depends on where the boat is headed? Most people, on many occasions, tend to go along to get along. They do not want to be seen as individuals who are not pulling their weight. 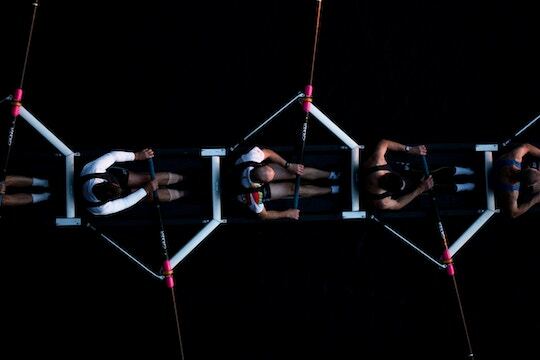 If and when they do stop rowing and stand up to look around, the other rowers will often apply peer pressure to have them sit down and get back with the program. Conformity and going with the flow just doesn’t suit the vision, values, and sense of self for many folks these days. They feel compelled to stand up and look toward an alternate horizon more in alignment with their true selves. The boat rocking may result in them jumping ship or being forced to walk the plank due to the apparent disconnect or perceived mutiny observed by the boat’s captain and crew. Where are your personal and professional boats headed? In which situations is it warranted to put more of your legs and back into your rowing efforts, or stand up and rock the boat, to either change its direction or jump ship? This entry was posted in Conformity, Direction and tagged Barry Demp, conformity, Demp Coaching, direction, The Quotable Coach by Barry. Bookmark the permalink.